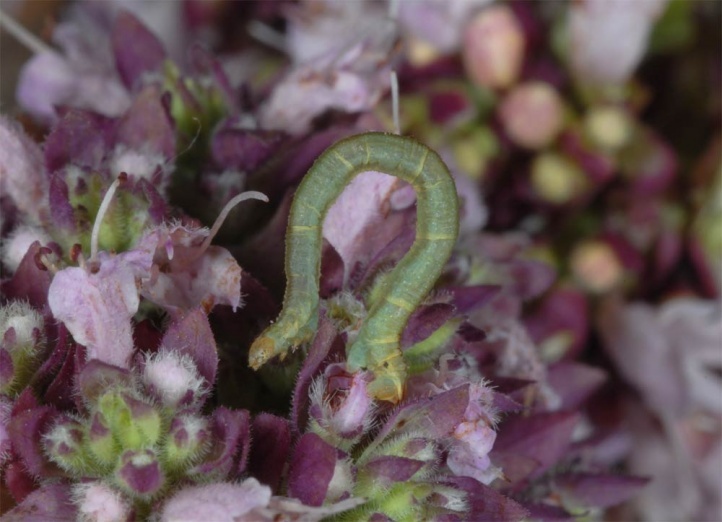 The larva feeds on flowers and fruits of different herbs such as Origanum vulgare (on which I found many larvae on the Swabian Alb in Southern Germany) and Pimpinella saxifraga. 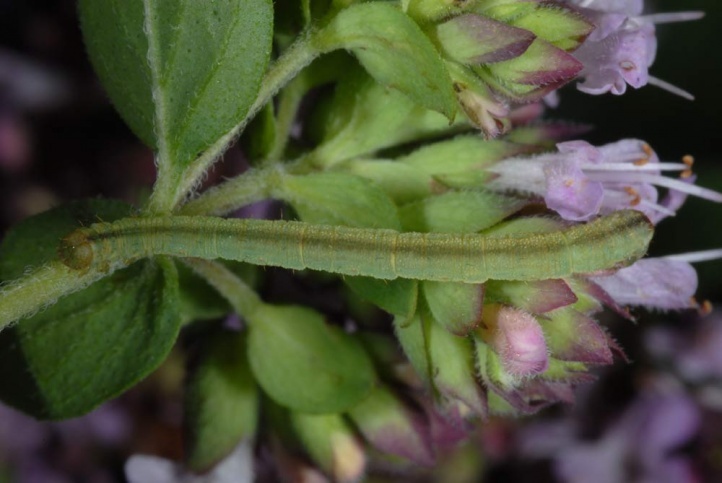 In literature there are hints on Knautia, Centaurea, Calluna and other plants. Eupithecia subumbrata lives on calcareous heathland, dry hillsides, forest clearings, old quarries and other only extensively used habitats. The moth is on the wing in a single generation between late May and early August. 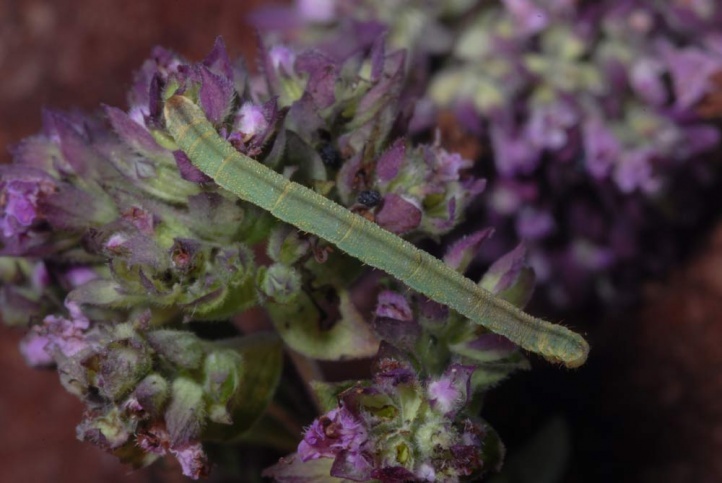 The caterpillars can be found principally between late June and September. 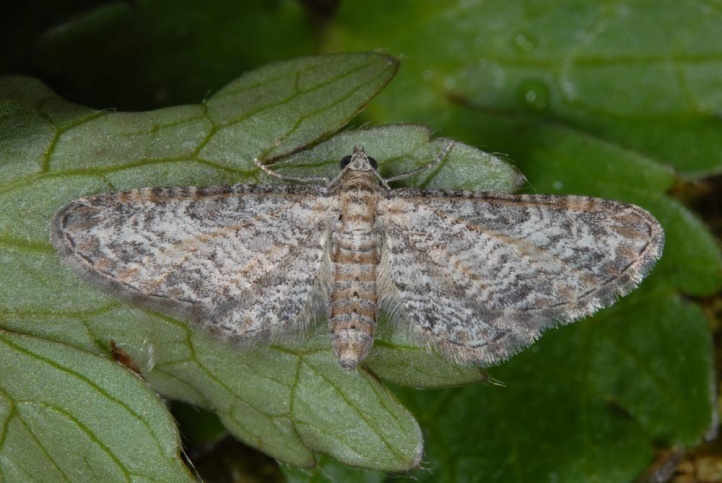 Eupithecia subumbrata occurs from Spain to Central Asia. In Europe Eupithecia subumbrata is rather common in landscapes where there still exist extensively used habitats such as the jurassic mountains in Southern Germany (Schwäbische Alb, Fränkische Alb).